What Is Swedish Death Cleaning, & Why Is It Becoming So Popular? The term “Swedish death cleaning” sounds morbid, especially if you’re overly sentimental like me, but after learning more about it, you might start singing a different tune. Known as dostadning in Sweden, the term was introduced to much of the world with last year’s The Gentle Art of Swedish Death Cleaning by Margareta Magnusson. The subtitle, How to Free Yourself and Your Family From a Lifetime of Clutter, reveals the basic thought behind the practice. Swedish death cleaning is about death, yes, but it’s also about making life simpler while you’re still able to enjoy it. Simply put, Swedish death cleaning is the act of carefully divesting yourself of your possessions in the years before your death in order to make the process of your death easier on your loved ones. I know from experience how harrowing it can be to have a loved one die only to be left to sort through years of their belongings, trying to find the rare precious memento amid piles of ancient newspapers, knicknacks and clutter. Instead, Magnusson recommends that you embark on the journey to declutter your life before it’s too late. Not only will you be ensuring that those left behind don’t find themselves knee-deep in your belongings after you die, but it will also allow you to simplify your life so you can spend more time enjoying your favorite things and less time trying to figure out exactly how to organize everything in your overflowing closet. Of course, you don’t have to wait until you think you’re about to die to take a more minimalistic approach to housekeeping and shopping. 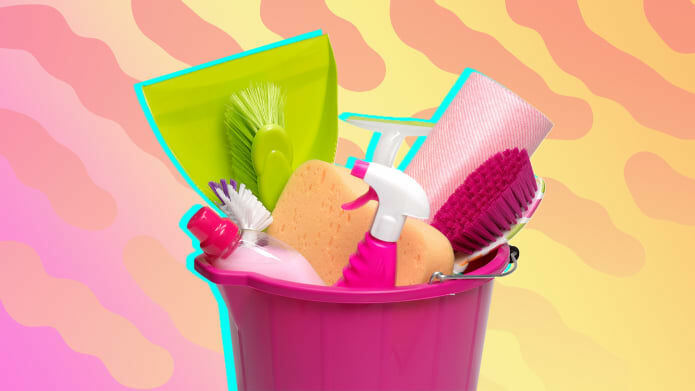 Starting to declutter now can help you maintain a more minimalist approach to home decor and organization in the future, so when the time comes, you don’t have to embark on an epic cleaning spree. Here are some tips to get you started. Magnusson recommends starting with your closet. Most people have at least a few (and more likely, a dozen or more) articles of clothing that are too big, too small or just not quite right that could be tossed. Linen closets are often overstuffed with towels and sheets — how many pillowcases do you really need? — and we all have that one closet that’s just there for the miscellaneous things we don’t know what to do with. Magnusson recommends removing everything from the closet and giving it a good cleaning, then putting the essential items back just so while setting the rest aside to sell, gift or throw away. Some incentive for decluttering is that you can sell your unwanted belongings at a yard sale, a consignment shop or online. Furniture, clothes, kitchenware — everything is a candidate. The key is using the money you make, not to replace the stuff you sold, but rather on a new memory-making opportunity. After all, you can’t take it with you! In Marie Kondo’s The Life-Changing Magic of Tidying Up, she urges readers to get rid of any possessions that don’t spark joy. The Gentle Art of Swedish Death Cleaning takes a more altruistic approach to this concept — what items of yours could make someone else happy? Whether you’re donating something you don’t really love to someone in need or giving treasured items to friends and family members along the way, paring down your possessions is a great opportunity to give. It can be hard to let go of your things, but Magnusson stresses that memories are more important than possessions. Just because you associate a fraying sun hat with your summer spent in Italy doesn’t mean your kids, friends or other loved ones will. Try to remember that it’s more important to live in the moment and focus on creating new memories rather than clinging to the past. With The Gentle Art of Swedish Death Cleaning, letting go is a little bit easier.